In a day and age where terrorists are decapitating people and posting the videos of it on the internet, the question of what is ethical to publish on social media is a very important and timely one. There can be no doubt, access to these kinds graphic images are readily available to those who want to see them. However, is it ethical to publish graphic images on social media not knowing who may, unsuspectingly, come across them in their news feed? Is it ethical to publish them at all? 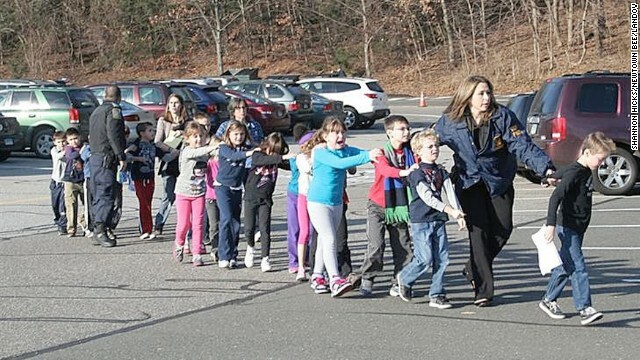 As a mom, my mind immediately went to the images of the Newtown, Connecticut school shooting. There were many graphic images of pain and chaos of children posted during and after the tragic event. While the ones shown here are not of the carnage and death we have become so used to associating with these sorts of acts of violence, those images can easily be found by Googling for them. The images here are still graphic, in their depiction of the fear and pain from that frightful day. In the end, the report was released. The information was available to those who wanted to see it. So was this a victory for the First Amendment, or a blatant disregard for the victims’ families wishes? Perhaps it was both. I think the feelings and wishes of the victims’ families of tragic events need to be honored, when possible. However, if these images are available, the press does have a right to request them, and they should be available. It’s then up to the press to decide whether they should broadcast these images, or not, and this is the point where the victims’ families feelings should be taken into consideration. I also think this horrific incident underscores that we can’t control how others use images once they are made public. Michael Moore is inferring that he would use them for a kind of anti-gun propaganda. Is that honoring to the victims? There will always be ethical issues to wrestle with when deciding to publish graphic images. There will always be shades of gray when making those decisions. The best course of action really is to weigh the need to share the images against the effect they will have both on the victims’ families and the public when sharing them. What do you think? What do you think the litmus test should be regarding when to share graphic images? I, too, remember the day of the Newtown, CT shootings well. Tragedies are all equally terrible, but one that involves innocent children is in a category of its own. I think the images you showed in your blog post were OK for the news outlets to have published in their newspapers and online. Although they evoke emotion and give you a sense of the happenings of that terrible day, they don’t cross the line of being too graphic. 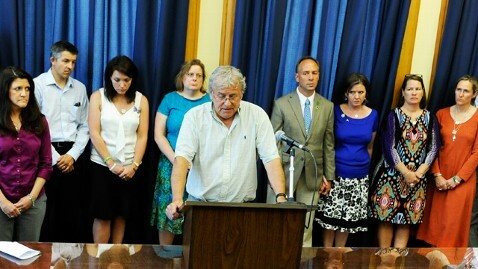 I agree that in tragic situations the wishes of the victims’ family members should be honored. Posting graphic images of children being injured or shot to death doesn’t advance the news story at hand and actually could encourage similar types of killings in the future. By insisting that these photos need to be released, Michael Moore is simply creating unnecessary drama and more heartache. While this event could be used to further his case against the National Rifle Association, I don’t believe that that is enough of a justification to allow these graphic images to be published in major news outlets and on social media platforms for the world to see. I agree, Lynette. A person’s desire to use graphic images to further their own agenda is not a good reason to publish them. However, like the situation in Newtown, these kinds of images are available in the name of information and free speech, and as much as I’d like to deny people who would use the images of murdered children for their own political purposes, the images themselves should be available. Now, this still doesn’t touch on the ethics, though. It’s more of a political/free speech debate. However, once images are available, it becomes an ethical debate as to who publishes them and where they can be shown. I absolutely agree with you that these kind of graphic images: children, whose parents have specifically asked for them to kept private, so as to not encourage any copy-cats, should NOT be published by traditional news outlets. Because of the subject of the photos (children), and the well-known wishes of the victims’ parents, to me this is a no-brainer. What would be the decision if we don’t know their wishes though? What about some of the famous war photos over the years, many of which showed graphic imagery of children? Are different rules applied then? Is it ethical if we don’t know the children, or if the photos are taken by journalists, instead of being crime-scene photos? Where is the line? As I concluded in my post, there are many shades of gray whenever you’re deciding if you should post a graphic image. You always can, but should you? And, for the record, the report I linked in my post that was eventually released did contain crime scene photos, but not all of the most graphic ones. The victims’ families wishes were honored, in a way, while much of the information was still released. Perhaps, as I mentioned in my original post, this was a victory for both parties. Another way to look at it would be that neither got exactly what they wanted. Lots of gray here. Lots of gray.